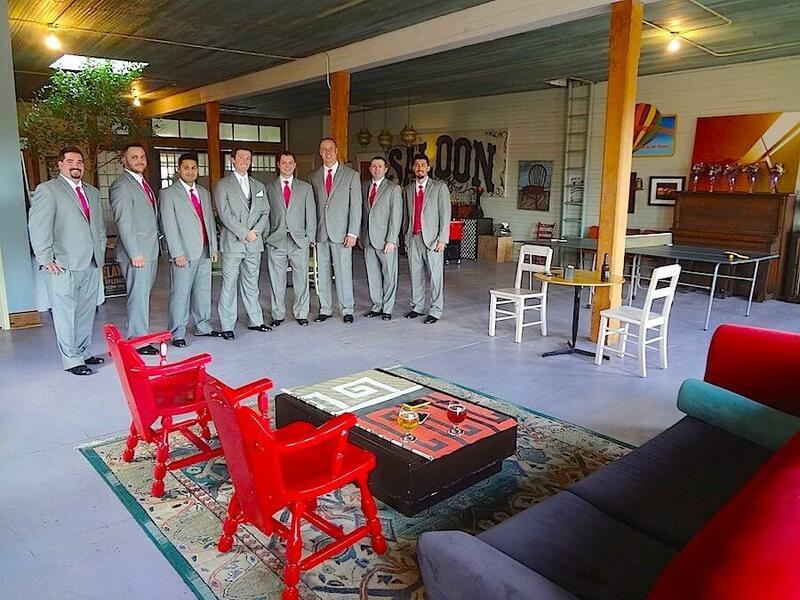 Second Floor Lounge/Groom’s Room is the newest addition to our historic venue. 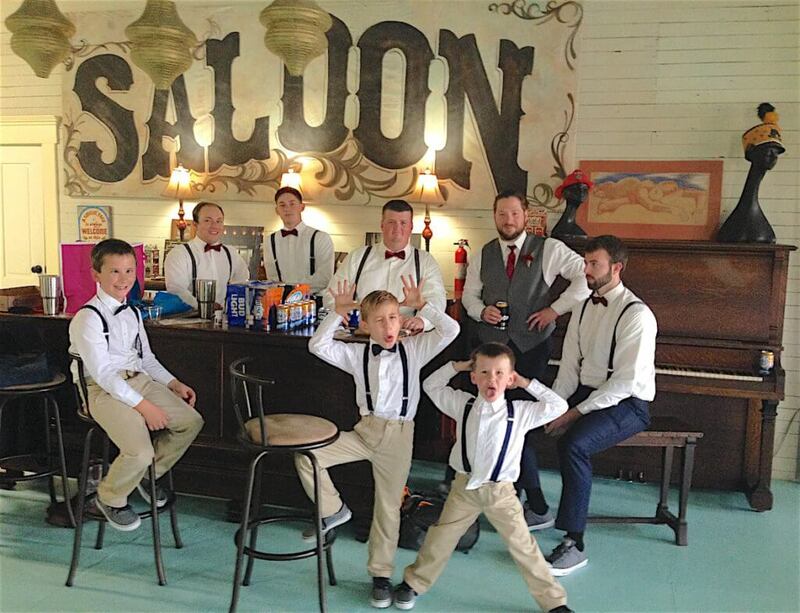 We have created a wonderful space for the groom, groomsmen and all those gentlemen, young and old, who do all the heavy lifting and are the support team for every event. The Grooms Room rents for $200 with any rental of Main Hall downstairs. 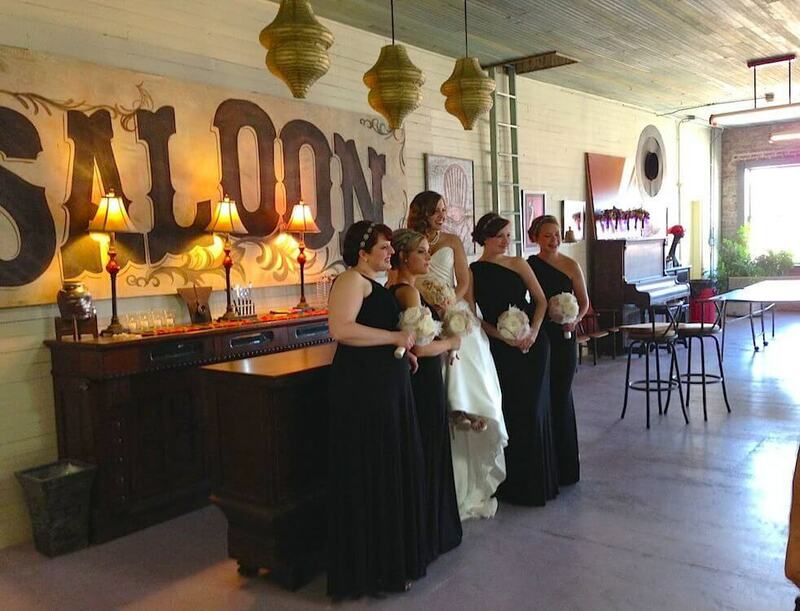 A rental of both Grooms Room and Bridal Areas earns your group the veranda for free; it is normally $100! 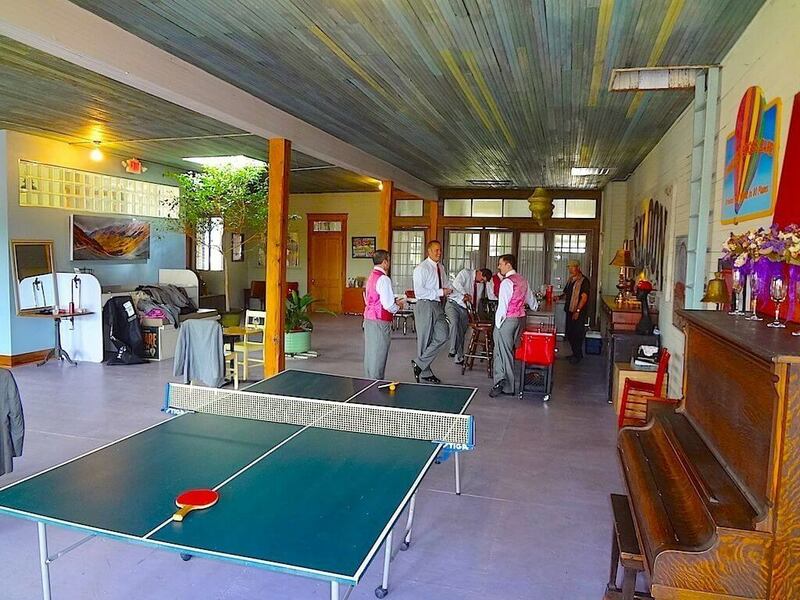 Turn of the Century Saloon is the perfect space for the groom and all his friends to relax and play some ping pong or throw some darts. All those uncles and nephews have their own area to hang out before the ceremony and reception. All the Guys Love This Room! 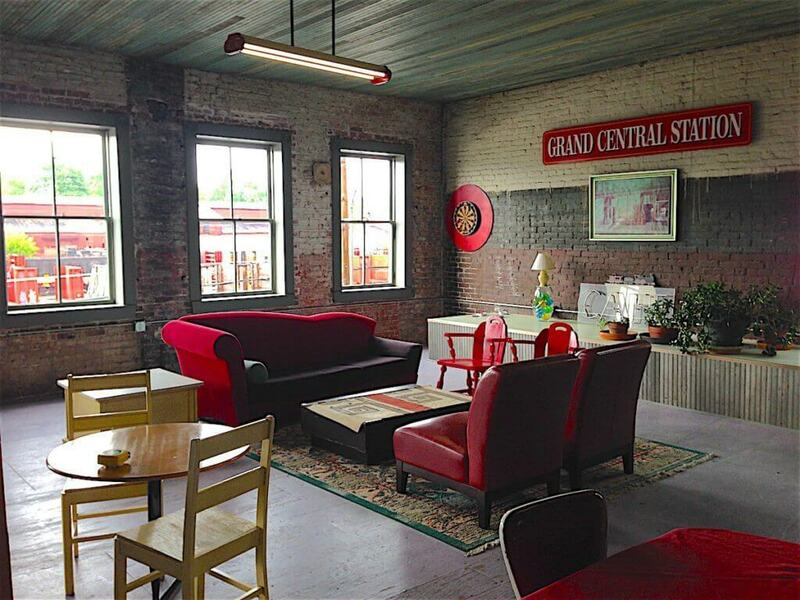 It’s got lots of elbow room, plenty of room for a change of clothes and a shot of root beer at our old fashioned saloon and back bar. We’ve got a firehouse red cooler on wheels which is perfect to keep party beverages on ice…which we also provide! It’s a Photographer’s Dream; you can’t take a bad picture anywhere in our Historic Firehouse…and of course, we invite you to try!